On June 29, 2012, Achim Schloeffel set a new world record in diving by being the first person to dive through the English Channel. It took Achim and the project team nearly two years of preparation and planning. The ambitious project was made possible through a combination of using state-of-the-art technology along with a mastermind of planning, commitment, focus and diving knowledge. 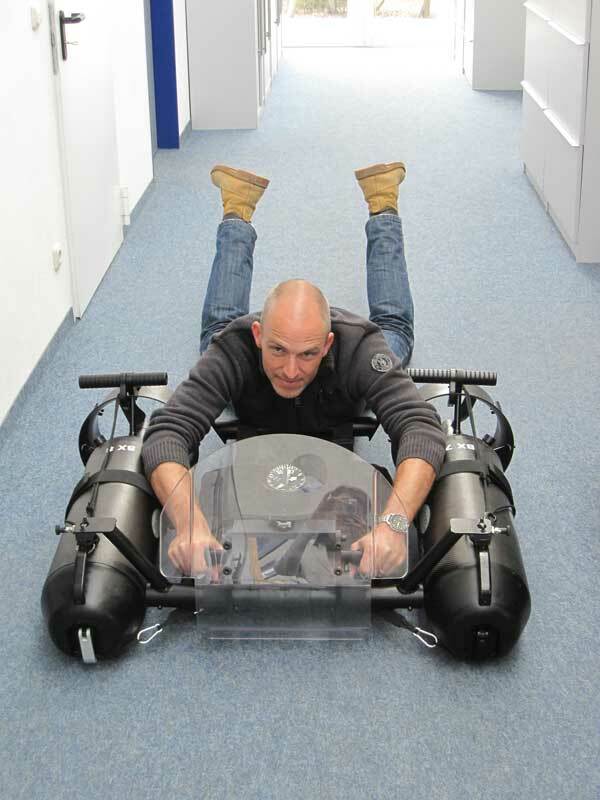 Achim was equipped with a Bonex scooter shuttle that carried him at an average depth of 20 meters through the Channel and allowed for a dive time of only eight hours. When crossing the heavy traffic ship line, he had to react fast to a tanker approaching him and dove down to 54 meters. We are very proud of Achim to have accomplished the world record and would like to extend our warmest congratulations to him. We are very pleased to be part of the companies who have made this dive technologically possible.